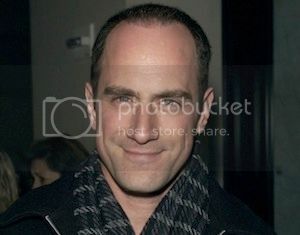 Chris Meloni To Join True Blood? Michael Ausiello from TVLine.com is reporting that Chris Melonifrom Law & Order: SVU is being courted by True Blood to play a major role in Season 5! WARNING: For those who don’t want to know â€“ please don’t read below! Curious to find out which role he’s being courted for? Read below â€“ if you dare! That noise you hear is the sound of Twitter exploding into a million little pieces over the following news: Chris Meloni is being courted to join the cast of True Blood. TVLine has learned exclusively that the former Law & Order: SVU front man is circling what my sources are calling a â€œmajor roleâ€ in the show’s upcoming fifth season. But what role? An HBO rep declined to comment, but I hear Meloni â€” who’s currently shooting a top-secret role in Man of Steel â€” is in talks to play (duh) an incredibly powerful vampire. If a deal comes to pass, this would be a major casting coup for True Blood. It would also mark a high-profile return to the small screen for Meloni following his sudden departure from SVU last spring. Who is this incredibly powerful vampire? Do you think this is a good thing or a bad thing?